Patch of Exile released a new PC patch, it takes aim to improve performances on both the PC and Xbox One, and general quality of life features and of course, addressing pesky bugs that may have hindered your gaming experience. Path of Exile is completely free to download and play. We never intend to charge for content or access to the released game. Now, let’s see the content of this patch, and more information and update, read more at here. We have made a new effect for Burning Ground which doesn’t have the performance issues that the previous one did. While it has a few visual bugs still, we are releasing it for feedback and to get the improvement onto the realm as soon as possible. We plan to update the other ground effects in a similar way in the future. Fixed a bug where Desecrate cast by monsters would not create any corpses. Fixed a rare bug preventing some characters from completing the Lighting the Way quest. Fixed a bug where the quest tracker was displaying incorrect quest information while in Maps. Fixed a bug where Vaal Spectral Throw was not interacting correctly with the Volley Support gem. Fixed a bug causing the effects for a skill in the High Templar Avarius encounter to not be displayed. Fixed a bug where some Rogue Exiles were not counting towards the Kill Rogue Exiles challenge. Fixed a client crash that occurred when typing various symbols into the search box in the Map Stash Tab. Fixed a bug where a Divine Vessel was incorrectly consumed if the Map boss was replaced by the Elder or an Elder Guardian. Fixed a bug where the Twice Blessed Darkshrine effect was not always given to the player who clicked the Darkshrine. 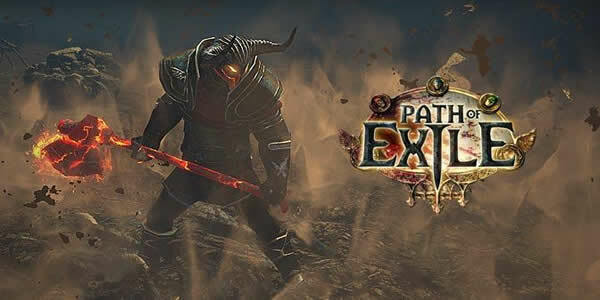 In addition to above mentioned information about the patch, and we will know some new features and skill behaviour, you can head over to here: https://www.u4gm.com/path-of-exile.